CANDI Plastic Recycling GmbH, a materials recycler in Sollenau (Austria) trusts in filtration technology from ETTLINGER Kunststoffmaschinen GmbH of Königsbrunn (Bavaria, Germany). An ERF 200 high performance melt filter on one of its two extrusion lines is used to process industrial plastic waste with high aluminum or paper fractions. The very low melt loss and high contaminant discharge rate are crucial for processing efficiency. Since being put into service in 2014, the filter has worked without any problems over long periods. Encouraged by this positive experience, CANDI decided in 2016 to purchase a second ETTLINGER melt filter of the same type, which has been doing duty for over a year now on an extrusion line with a similar configuration at SC CALEX, the firm’s Romanian subsidiary. CANDI was founded by Managing Director Gheorghe Campan (Figure 1) in 2001 and has since evolved from a one-man undertaking to one of Austria’s leading regional materials recyclers. The company currently employs twelve people working three shifts. 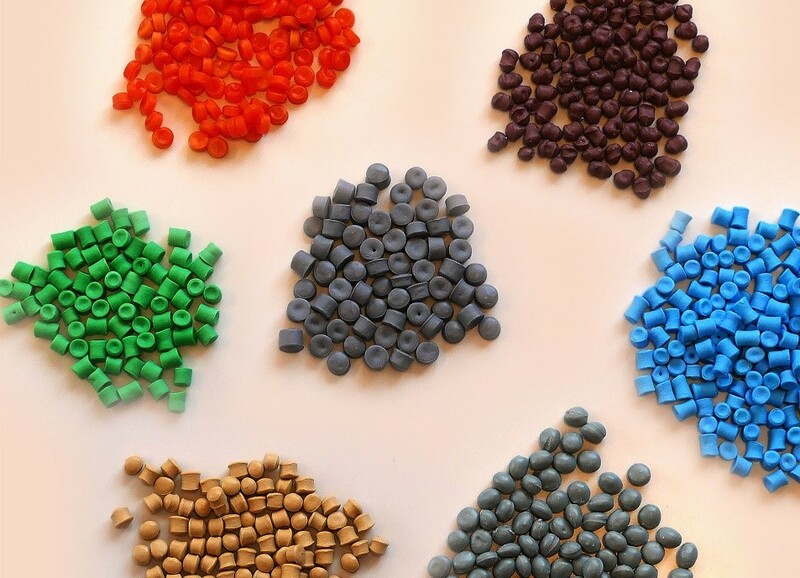 CANDI specializes in processing and repelletizing a broad spectrum of industrial plastic waste. In 2014, CANDI acquired a recycling line for treating plastic waste which is contaminated with paper or aluminum foil, for instance. 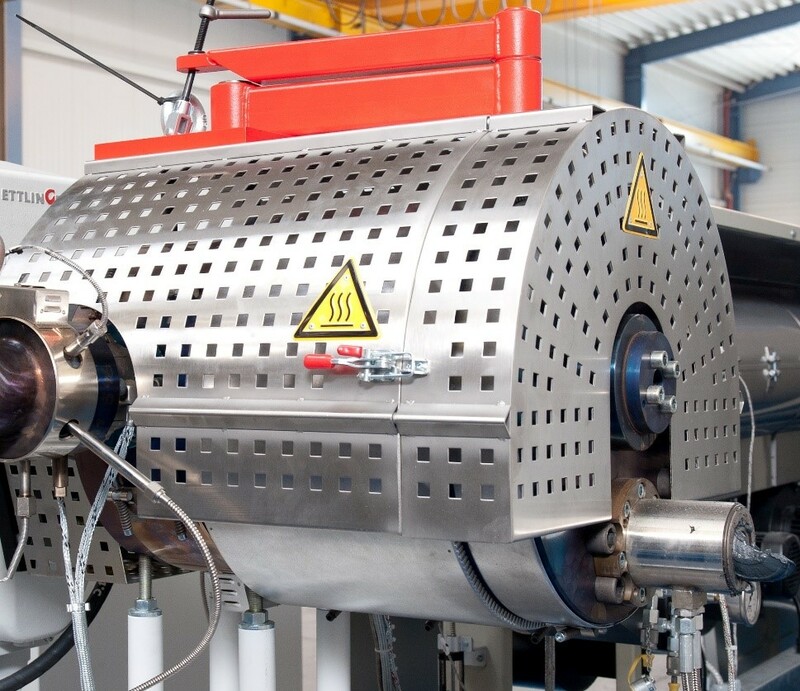 At the heart of this line is a vacuum degassing extruder specially developed for plastics recycling: it melts the plastic waste which has been shredded and agglomerated by CANDI in an upstream step and homogenizes it extremely efficiently (Figure 2). The processed melt then flows directly through the ETTLINGER high performance melt filter (Figure 3) to enable residual contaminants to be removed. A water ring pelletizer with a downstream bagging station completes the recycling line. Together with a second extrusion line, which was put into operation in 2015 and is used to process dry, clean plastic waste, it produces around 3500 tons of regrind per year for the Sollenau recycler, most of it PE, PP or PS based. In the end, an ETTLINGER ERF high performance melt filter was the only viable alternative for Campan. This system is completely closed. The filter remains open throughout the production phase to permit absolutely stable processing with a constant volume and pressure. The central component of the ERF melt filter is a rotating, cylindrical filter screen with millions of conical holes. The screen sizes range from 80 µm for very high qualities through 750 µm for standard to the largest 1300 µm. The contaminants which are retained on the outside of the screen when melt flows through the filter are removed by a scraper, fed to an exit screw and discharged from the process. After only a short residence time, the cleaned melt on the inside of the drum is supplied to the filter outlet via the filter shaft and a system of flow channels, then onward in most cases to a downstream pelletizing machine. The rotary motion of the filter drum simultaneously supports the blending effect and ensures optimal homogeneity in the melt. The filter allows high quality regrind to be produced without any problems from printed films or materials such as PE, PP or PS containing up to 5% or 18% paper and / or aluminum respectively. PS or ABS flake from refrigerator and electronic waste with a high proportion of wood and rubber is likewise cleaned by this filter very efficiently and reliably. Even gels or high-molecular and cross-linked fractions which arise due to high temperature stresses are efficiently separated on the screen. The melt losses are only minimal because the contaminants are highly enriched (up to 70%) at the exit (Figure 4). The filter screen, which is driven by a servo motor, rotates at the CANDI plant at a speed of 0.3 rpm and a melt pressure of 160 to 170 bar. With every rotation the scraper cleans the outer surface of the filter and feeds the removed particles to an exit screw. The latter is driven by a separate servo motor and turns slightly faster than the screen for rapid contaminant discharge from the filter system. Depending on the material, the level of contamination and the screen which is used, CANDI achieves throughputs of up to 700 kg/h with this system. In the meantime, the ERF 200 has been operating at the Sollenau recycling plant without a hitch non-stop 24 hours a day since 2014. Assuming input material of consistent quality, the filter can often remain in use for several weeks before it needs to be cleaned. In this case, it takes no more than an hour or so to complete the screen change and production is only briefly disrupted. CANDI regrind (Figure 6) is sold to injection molders, blow molders, film extruders and rotomolders in Germany, Austria, Romania and the Czech Republic. Films, thin blow film and above all construction industry goods like pipes, mounting plates, spacers or formwork supplies are typical end products. 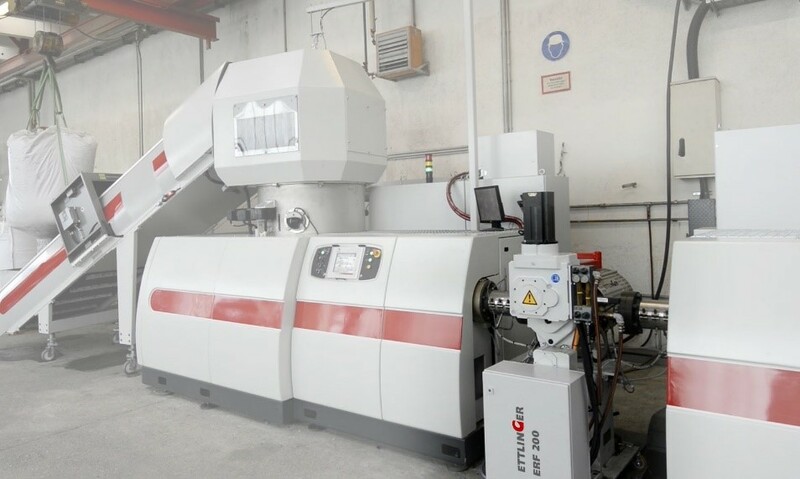 In July 2016, ETTLINGER also installed and commissioned an ERF 200 melt filter similar to that configured in Sollenau on an extrusion line at CANDI’s SC CALEX subsidiary in Satu Nou de Jos, Romania. Twenty-five people presently work there in three shifts. The recycling plant is used first and foremost to treat collected post-consumer polymers; depending on the composition of the materials, the output rate is somewhere between 450 and 650 kg/h. Pipes made from PP or HDPE, post-consumer LDPE films and post-consumer PP big bags, among other things are processed there. The new machine boosted CALEX’s existing capacity consisting of two washers and three more recycling plants. ETTLINGER ERF filters are offered in three sizes: the ERF 200 for a maximum throughput of 1 t/h, the ERF 250 for throughputs up to 3 t/h and the ERF 500 for 6 t/h. All ERF models are designed to filter polymer feedstock with varying degrees of contamination. Recycling and sheet extrusion are typical applications. CANDI Plastic Recycling GmbH (http://www.candi-plastic.com) was founded in 2001 in Sollenau (Austria). Today, the recycler is optimally equipped to process a broad spectrum of industrial plastic waste. 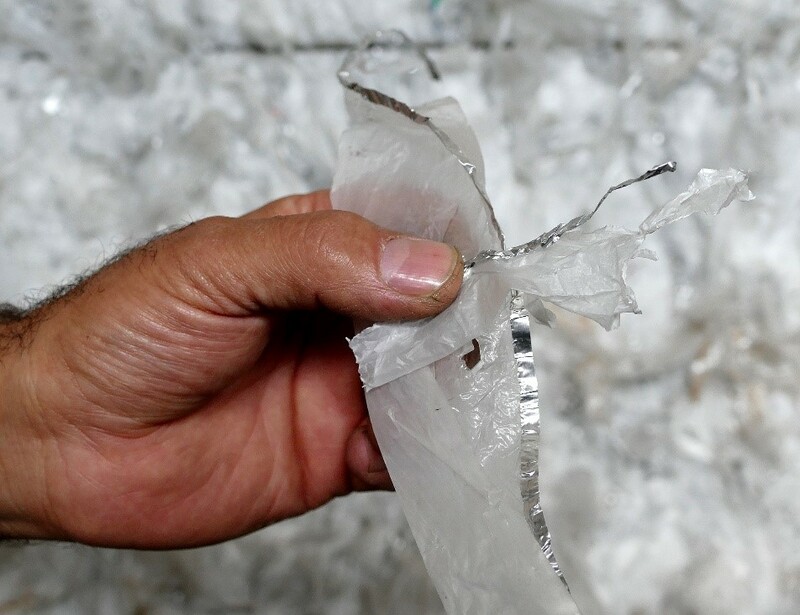 Two extrusion lines generate more than 3500 tons of recyclable regrind per year. The company currently employs twelve people working three shifts. Twenty-five staff work at CANDI’s Romanian subsidiary SC CALEX SRL in Satu Nou de Jos, where around 3000 tons of regrind are produced on four recycling lines. ETTLINGER Kunststoffmaschinen GmbH (http://www.ettlinger.com) was founded in 1983 and is today a global player. The company has its headquarters in Königsbrunn, not far from Augsburg. A sales and service subsidiary opened in Atlanta (Georgia) in 2013. Its core competency is in the development and manufacture of injection molding machines and high performance melt filters. On the melt filtration side Ettlinger makes systems for continuous filtration of feedstock with varying degrees of contamination. Contaminants like paper, aluminum, wood, silicones or high-melting polymer composites can be removed from all standard polymer materials. Ettlinger injection molding machines are optimized for the production of large polymer moldings up to 100 kilograms in weight such as plastic pallets, fittings or manholes. Fig. 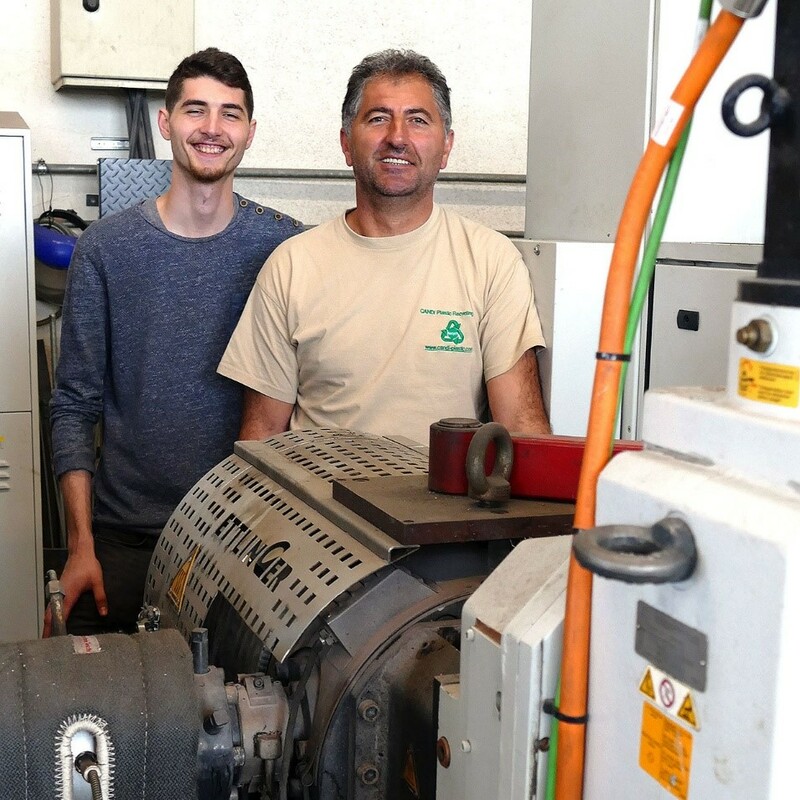 1: “We made the right choice with the ETTLINGER ERF 200.” Managing Director Gheorghe Campan (right) with his son Andreas. Fig. 2: This ETTLINGER ERF 200 high performance melt filter on an extrusion line at CANDI is used to process industrial plastic waste containing 10% or more aluminum or paper. Fig. 3: Ideal for polymer feedstock containing up to 18% by weight contamination: the ERF 200 high performance filter from ETTLINGER Kunststoffmaschinen GmbH. Fig. 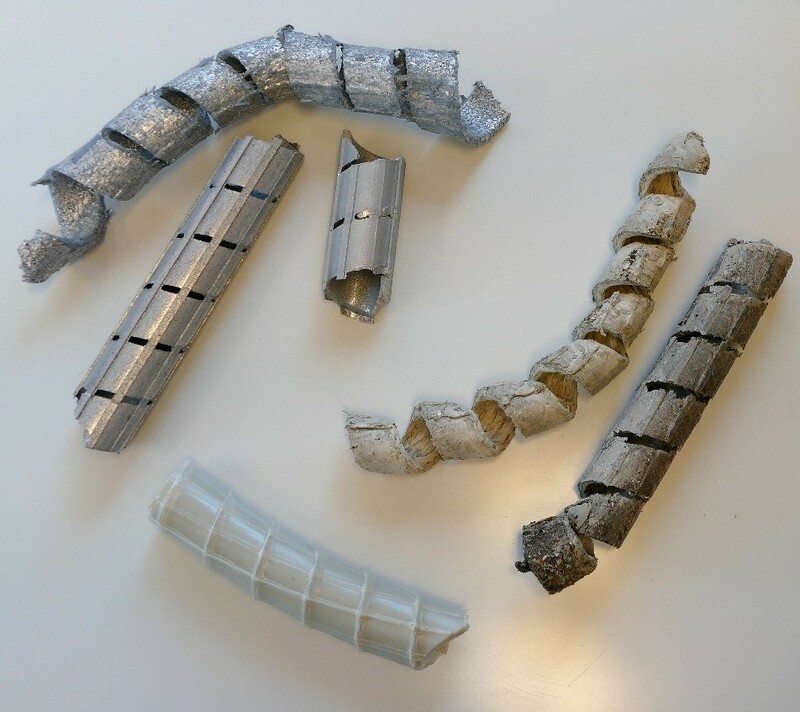 4: Various discharged contaminants: aluminum from plastic and aluminum foils (top left), silicone from cosmetic tube waste (bottom), refrigerator scrap comprised of silicone, paper, wood, rubber and cable remnants (right). Fig. 5: A lucrative material: edge trim with an aluminum fraction. The film scrap which typically occurs when beverage packaging is manufactured from laminated carton is shown here. Fig. 6: A colorful mixture: CANDI regrind – PP from colored and transparent ketchup bottles (orange), PE / PP compound (green and blue), PP from Kinder eggs (beige), PS from yogurt pots (light gray), PS from coffee cream packets (brown), HDPE from multilayer material for bottled liquid dairy products (dark gray).